Limited Black Friday Deals are here in KHUX! Don't miss out on these special Black Friday deals! Take advantage of this opportunity to stock up on these rare and powerful Medals! Black Friday Deal #1 – Weekly Jewels Extravaganza Bonus! ・Starting on Black Friday, all players who purchase the Nov. 26 - Dec. 2 Weekly Jewels Extravaganza will receive half their Jewels back on any of the special Black Friday deal banners listed below! *Please note: All draw between Nov. 23, 2018 to Dec. 3, 2018 will have the Jewels refund. *Please note: The Jewels refund will occur on Dec. 5, 2018 12:00 a.m. (PT). *Please note: A maximum of 20,000 Jewels will be returned per player. Black Friday Deal #2 – Supernova - Riku Replica Present! ・Starting on Black Friday, all players who purchase the Jewel Box E will receive one Supernova - Riku Replica Present Medal! *Please note: You will only receive one Supernova - Riku Replica Present Medal, even if you purchase multiple boxes. *Please note: Supernova - Riku Replica will be distribute on Dec. 5, 2018 12:00 a.m. (PT). Read on for all the participating Black Friday banners! 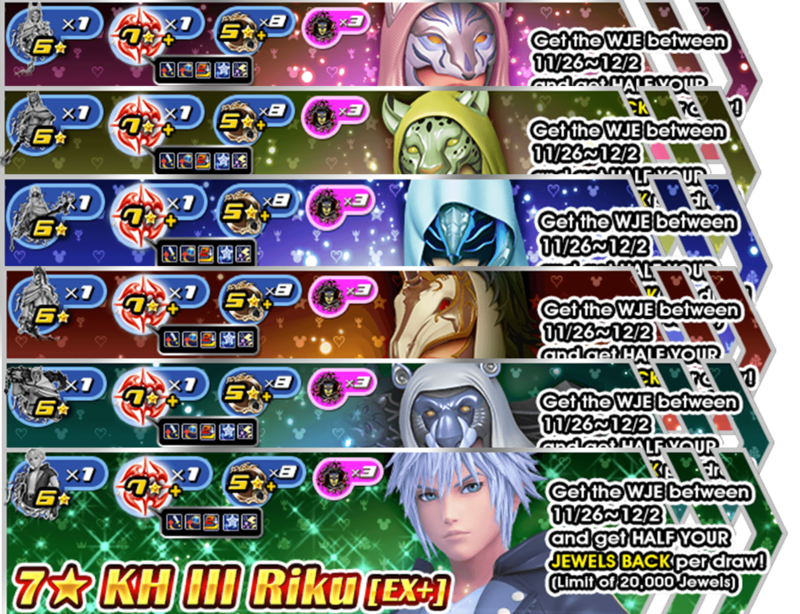 Black Friday Deal: Get KH III Riku [EX+] & more within 5 draws! A settings error is causing the HD Gula [EX+] Medal to appear instead of the HD Aced [EX+] Medal as the Medal guaranteed within 5 draws in the Aced Deal. Likewise, the HD Aced [EX+] Medal is appearing instead of the HD Gula [EX+] Medal as the Medal guaranteed within 5 draws in the Gula Deal. To address this issue, we will be sending all players an HD Aced [EX+] Medal for each HD Gula [EX+] Medal they receive from the Aced Deal, and all players who receive HD Aced [EX+] Medals from the Gula Deal will be sent one HD Gula [EX+] Medal for each HD Aced [EX+] Medal they received from that Deal. We apologize for the confusion and thank you for your support. ★ Part of the Special Black Friday Deals! Starting on Black Friday, all players who purchase the Nov. 26 - Dec. 2 Weekly Jewels Extravaganza will receive half their Jewels back on any of the special Black Friday deal banners! The KH III Riku [EX+] and HD [EX+] Foreteller Deals have returned! Each Deal's featured Medal is available within 5 Draws! Don't miss out on this extra-special Black Friday deal! Take advantage of this opportunity to add these powerful Medals to your collection within only 5 draws! ・One Trait Medal per draw! Please Note: The Trait Medal will correspond to the Medal featured on the banner. ・A Tier 6 or 7, 7★ Medal per draw from these banners, along with Boosted version of these Medals! ・The below-listed 7★ Medals in their respective deals within 5 draws! 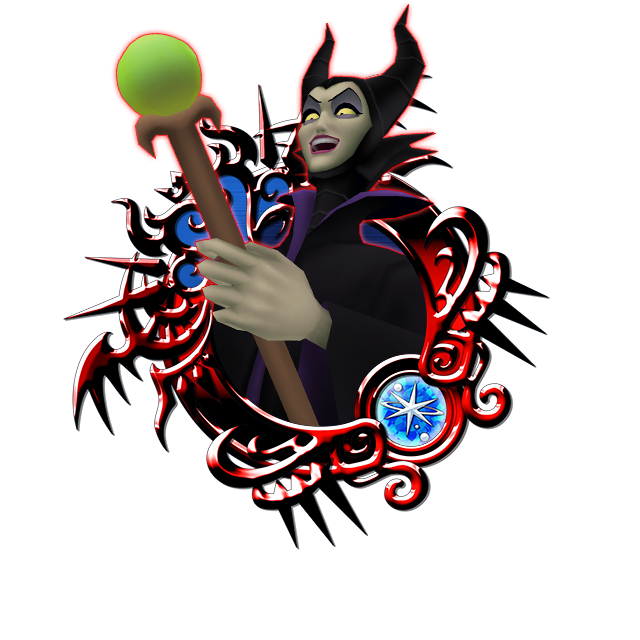 KH III Riku [EX+], HD Ava [EX+], HD Ira [EX+], HD Invi [EX+], HD Aced [EX+] OR HD Gula [EX+]! * NOTE: Each Deal only guarantees the Medal featured on its banner within 5 draws. * NOTE: There are chances of getting other Medals that are not the main feature of the perspective banners. ・Plus three bonus Magic Mirror Medals each time you draw from this banner! 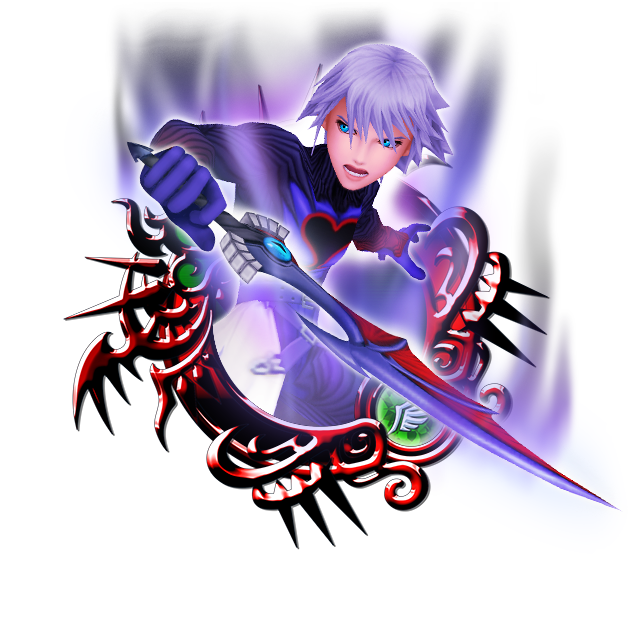 ・Boosted KH III Riku [EX+], HD Ava [EX+], HD Ira [EX+], HD Invi [EX+], HD Aced [EX+], HD Gula [EX+]: 1,000 more base Strength and Defense. Returning Supernova - Key Art #19 and Prime - Maleficent Deal! ★ Supernova - Key Art #19 and Prime - Maleficent have returned! Supernova - Key Art #19 is back for a limited time in this special Black Friday deal! ・A 7★ Prime - Maleficent within 5 draws! ・A 6★ Prime - Maleficent each time you draw from this banner! ・A Trait Medal #52 each time you draw from this banner! ・Three bonus Magic Mirror Medals each time you draw from this banner! NOTE: This deal does not guarantee that you will receive Supernova - Key Art #19 within a certain number of draws. Returning Supernova - Sephiroth and Prime - KH Cloud Deal! 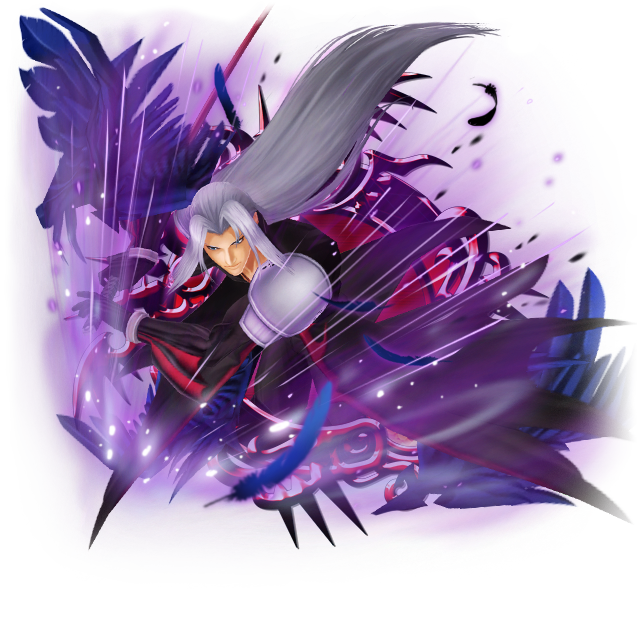 ★ Supernova - Sephiroth and Prime - KH Cloud have returned! Supernova - Sephiroth is back for a limited time in this special Black Friday deal! ・A 7★ Prime - KH Cloud within 5 draws! 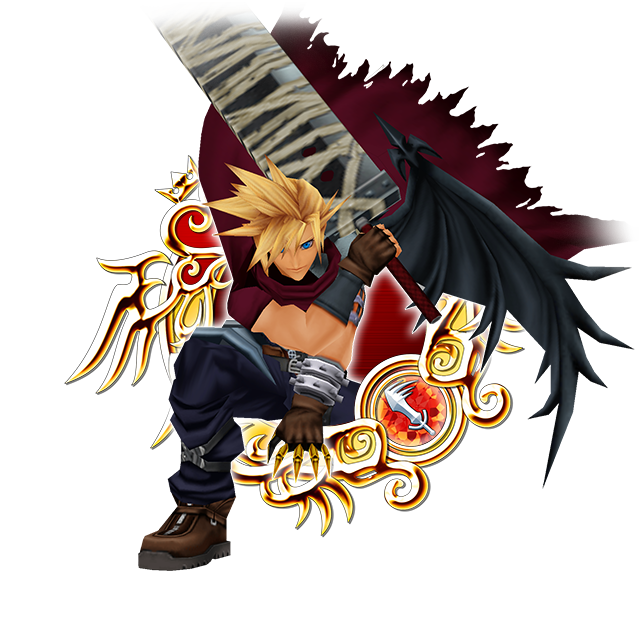 ・A 6★ Prime - KH Cloud each time you draw from this banner! ・A Trait Medal #48 each time you draw from this banner! NOTE: This deal does not guarantee that you will receive Supernova - Sephiroth within a certain number of draws. New Supernova - Riku Replica and Prime - KH II Yuffie Deal! Part of the Special Black Friday Deals! The New 7★ Supernova Medal: Supernova - Riku Replica is here! Plus get 7★ Prime - KH II Yuffie within 5 draws! Supernova - Riku Replica is the first of the powerful Supernova Medals to unleash a mighty Supernova attack upon all enemies! 7★ Prime - KH II Yuffie is also available from this Deal! Get her within 5 draws from this new Medal Deal! 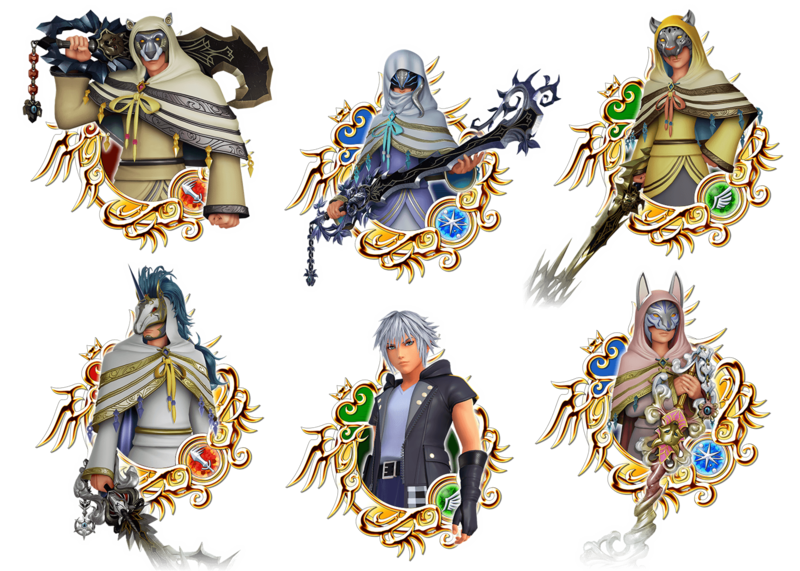 Each time you draw from this banner you will also get a 6★ Prime - KH II Yuffie and Trait Medal #58! ・A 7★ Prime - KH II Yuffie within 5 draws! ・A 6★ Prime - KH II Yuffie each time you draw from this banner! ・A Trait Medal #58 each time you draw from this banner! 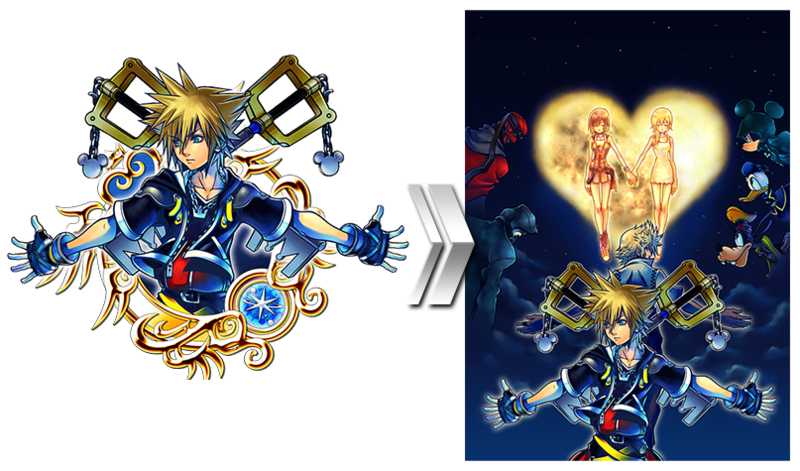 NOTE: This deal does not guarantee that you will receive Supernova - Riku Replica within a certain number of draws. ★ Chirithy Avatar Boards are here! 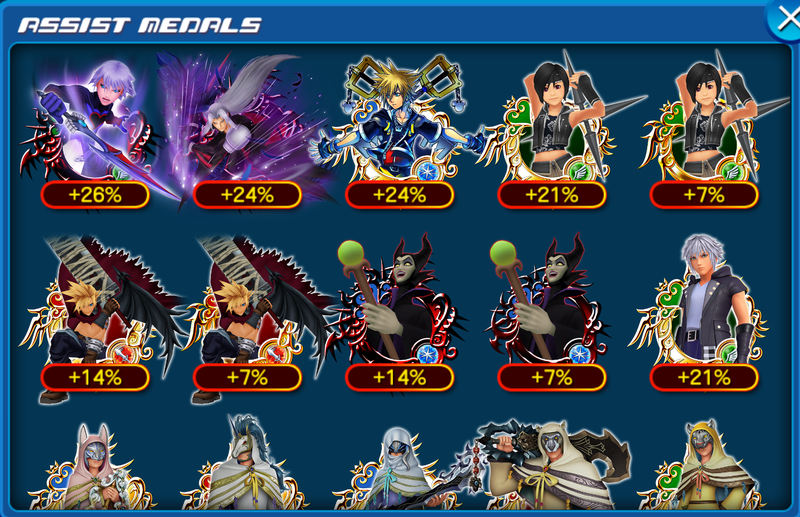 Now's your chance to become Chirithy with these new avatar boards! 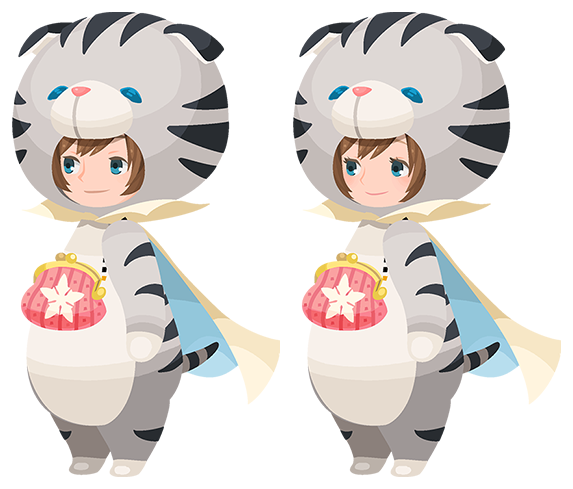 Pick up these adorable and cuddly Chirithy avatar boards for 2500 Jewels apiece! Vivi B High Score Challenge! 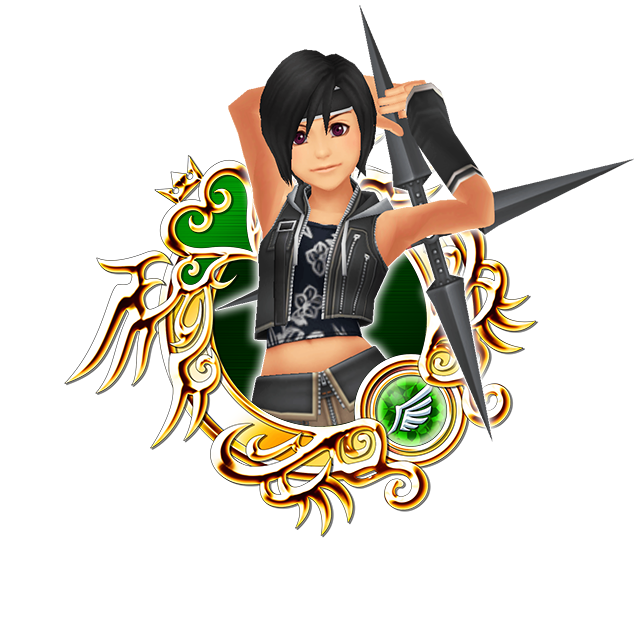 The prizes this time are Vivi B and Trait Medal #59! Aim for the top of the rankings and score high to receive these exclusive Medals! 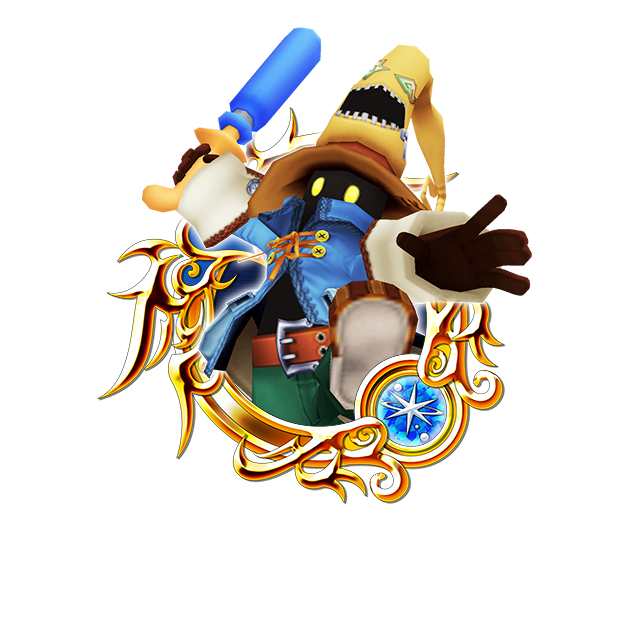 ・Boosted Vivi B: 1,000 more base Strength and Defense. * Please check in-game for the full list of Score Bonus Medals.